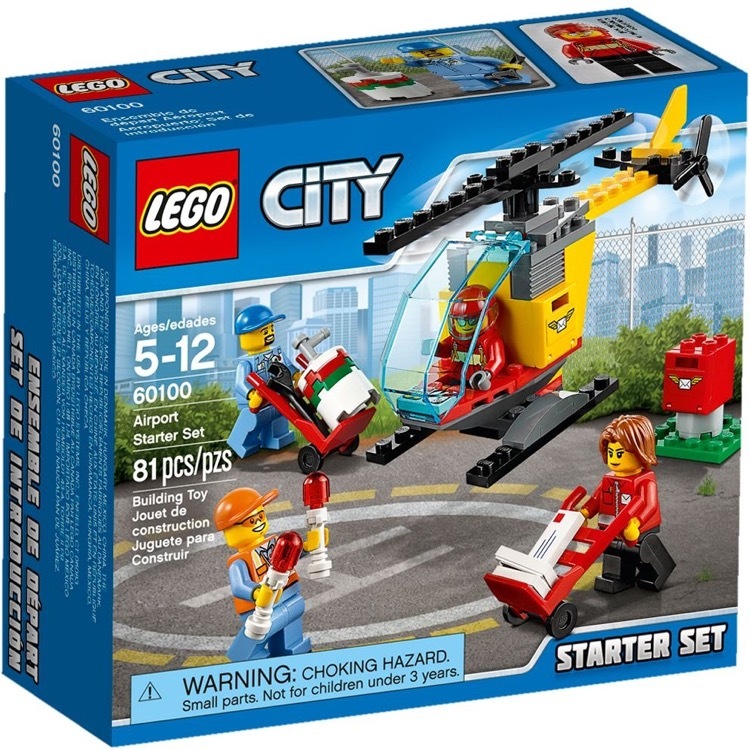 This is a BRAND NEW set of LEGO® Town City 60100 Airport Starter Set from 2016. This set is still factory sealed and the box is in very good condition with minor shelf wear. 81 pieces and 4 minifigures©. 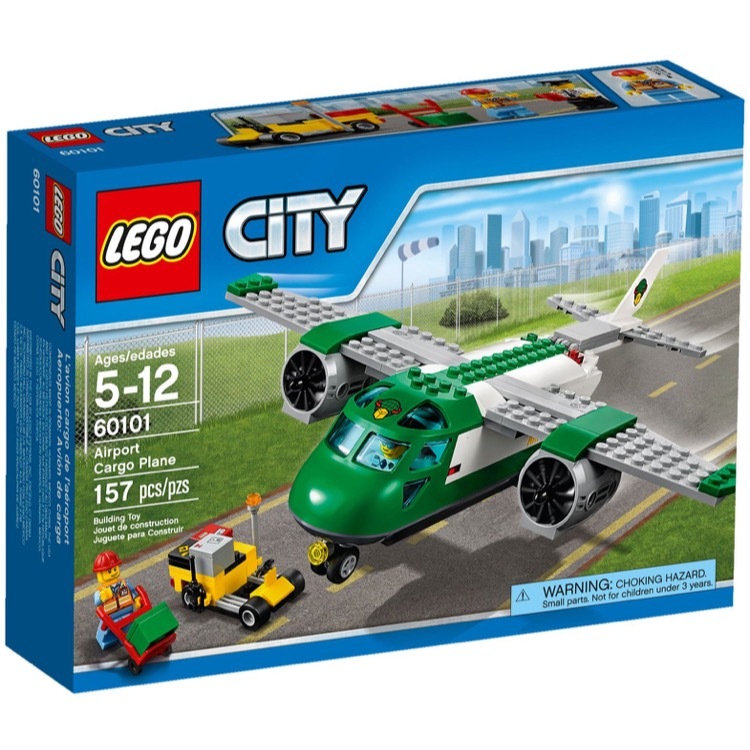 This is a BRAND NEW set of LEGO® Town City 60101 Cargo Plane from 2016. This set is still factory sealed and the box is in very good condition with minor shelf wear. 157 pieces and 2 minifigures©. 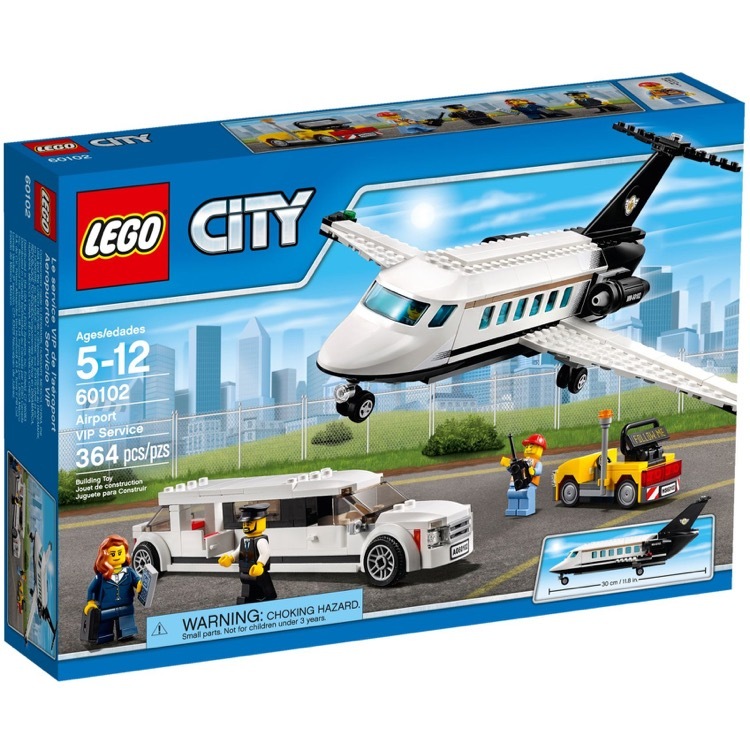 This is a BRAND NEW set of LEGO® Town City 60102 VIP Service from 2016. This set is still factory sealed and the box is in very good condition with minor shelf wear. 364 pieces and 4 minifigures©. 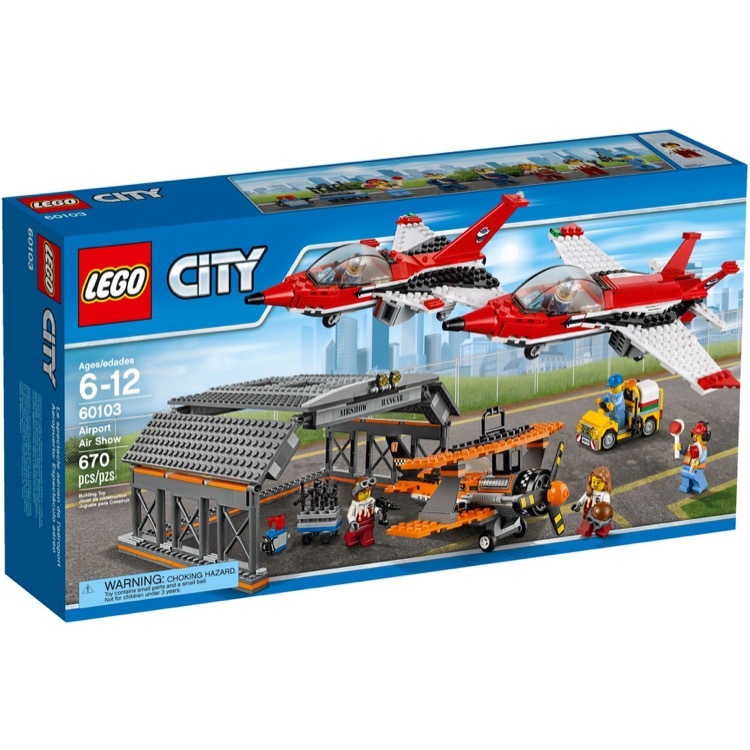 This is a BRAND NEW set of LEGO® Town City Airshow from 2016. This set is still factory sealed and the box is in very good condition with minor shelf wear. 670 pieces and 6 minifigures©. 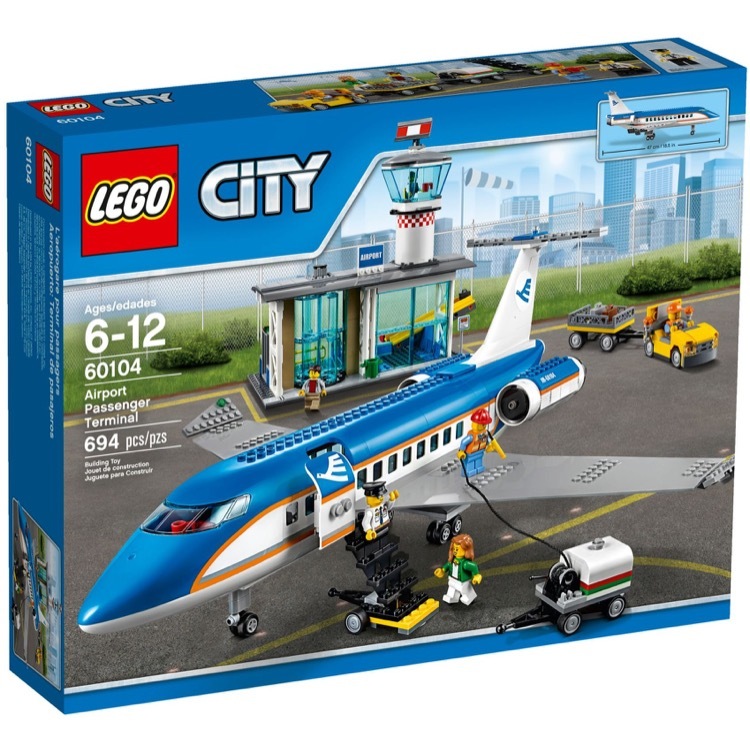 This is a BRAND NEW set of LEGO® Town City 60104 Passenger Terminal from 2016. This set is still factory sealed and the box is in very good condition with minor shelf wear. 694 pieces and 6 minifigure©. 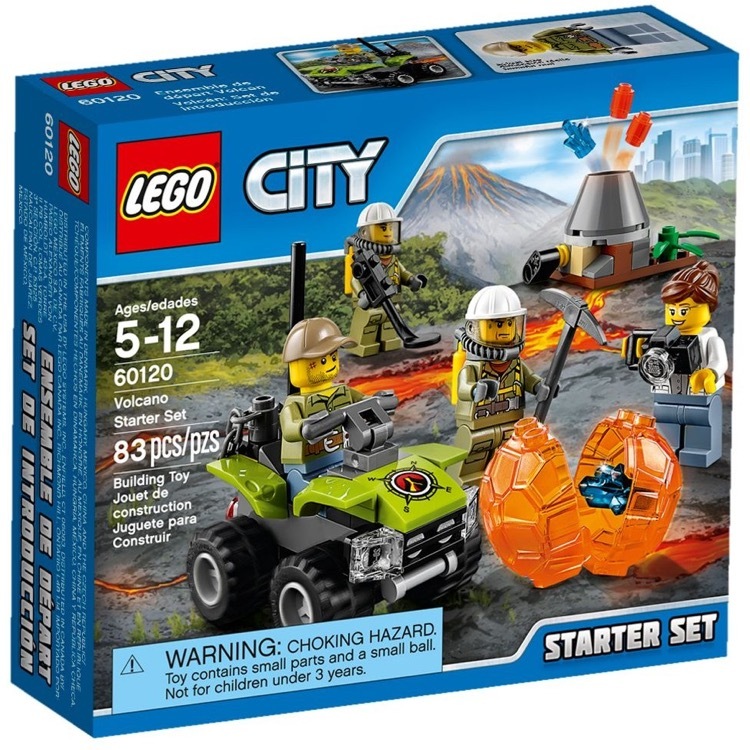 This is a BRAND NEW set of LEGO® Town City 60120 Volcano Starter Set from 2016. This set is still factory sealed and the box is in very good condition with minor shelf wear. 83 pieces and 4 minifigures©. 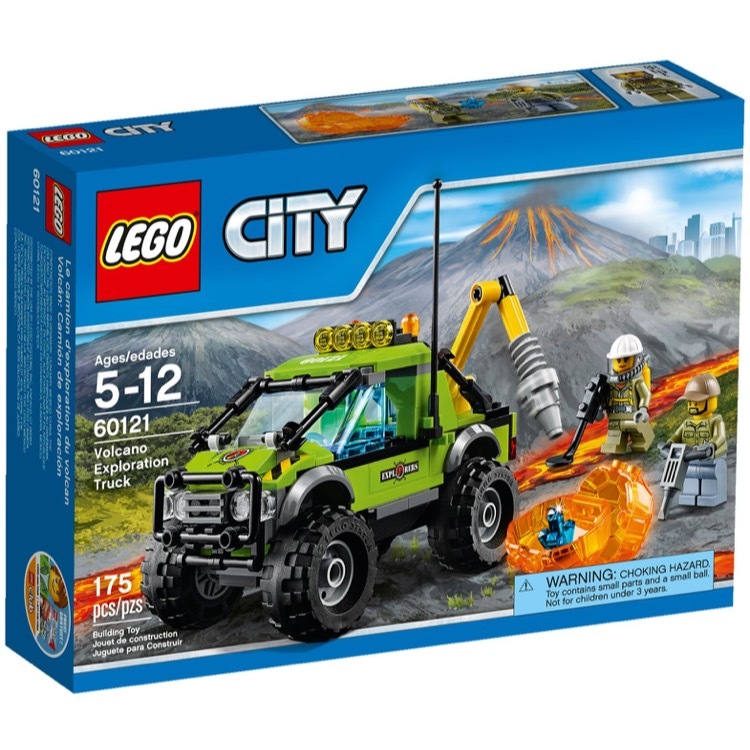 This is a BRAND NEW set of LEGO® Town City 60121 Volcano Research Truck from 2016. This set is still factory sealed and the box is in very good condition with minor shelf wear. 175 pieces and 2 minifigures©. 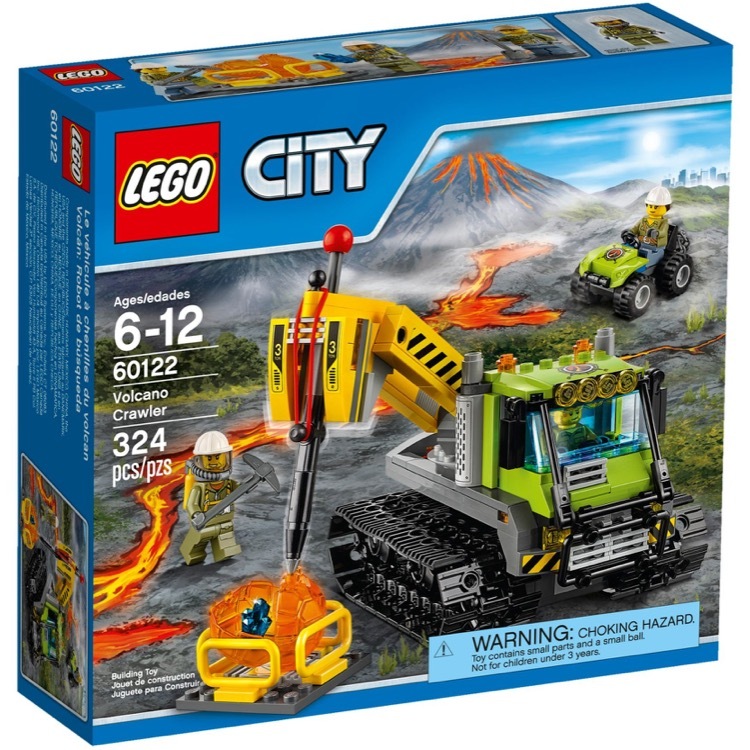 This is a BRAND NEW set of LEGO® Town City 60122 Volcano Crawler Vehicle from 2016. This set is still factory sealed and the box is in very good condition with minor shelf wear. 324 pieces and 3 minifigures©. 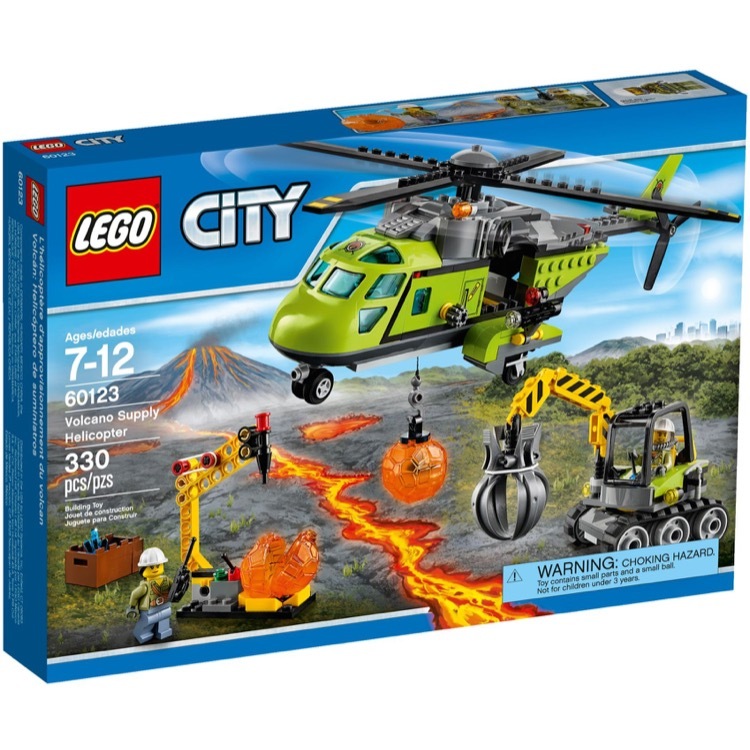 This is a BRAND NEW set of LEGO® Town City 60123 Volcano Supply Helicopter from 2016. This set is still factory sealed and the box is in very good condition with minor shelf wear. 330 pieces and 3 minifigures©. 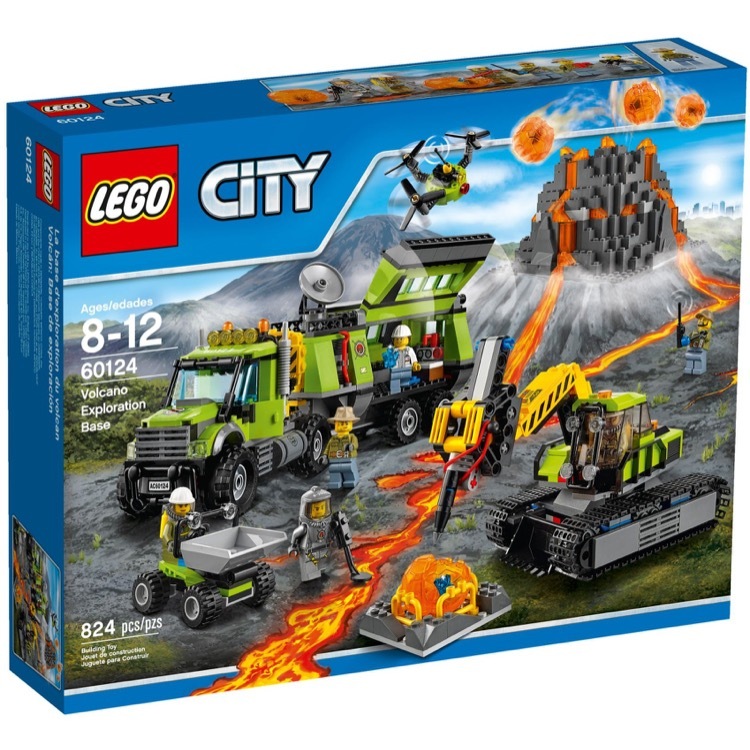 This is a BRAND NEW set of LEGO® Town City 60124 Volcano Research Base from 2016. This set is still factory sealed and the box is in very good condition with minor shelf wear. 824 pieces and 6 minifigures©. 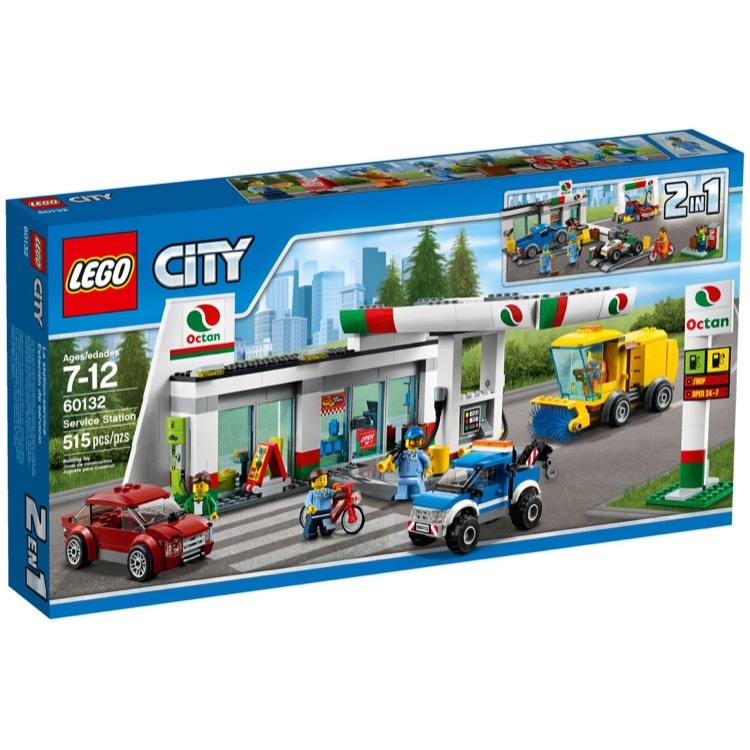 This is a BRAND NEW set of LEGO® Town City 60132 Gas Station from 2016. This set is still factory sealed and the box is in very good condition with minor shelf wear. 515 pieces and 4 minifigures©. 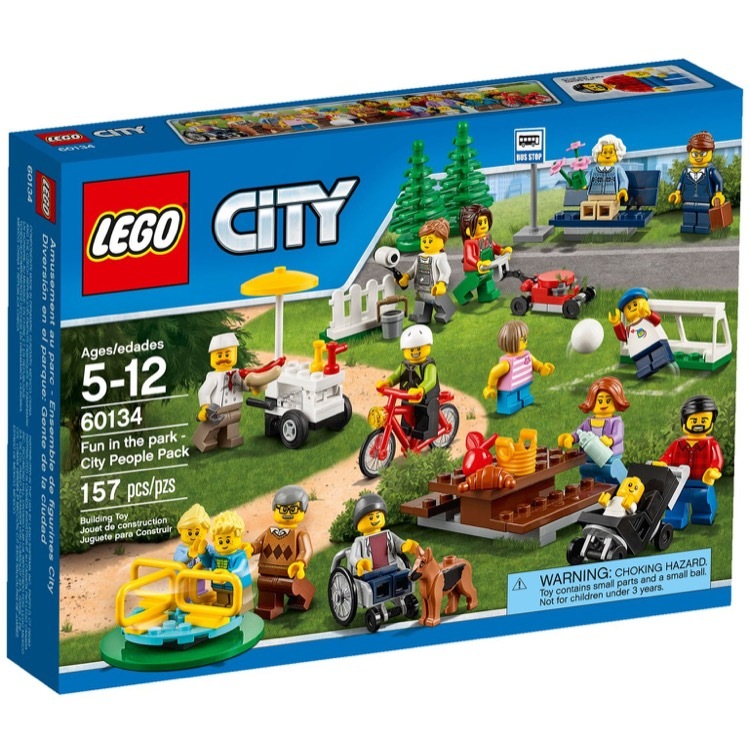 This is a BRAND NEW set of LEGO® Town City 60134 Fun in the Park - City People Pack from 2016. This set is still factory sealed and the box is in very good condition with minor shelf wear. 157 pieces and 15 minifigures©.